Whether you are building a website for a client and launching a marketing campaign, or you are just increasing your website visibility and reach, SEO is one of the key things to do. It is perhaps the main factor that can make or break any online business or a blog’s success. Although search engines have become increasingly sophisticated and search algorithms are improved every day, they still can’t see and understand a web page the same way a human can. This article will show you how simple SEO steps help the search engines figure out what each page is about and how it may be useful for your users. 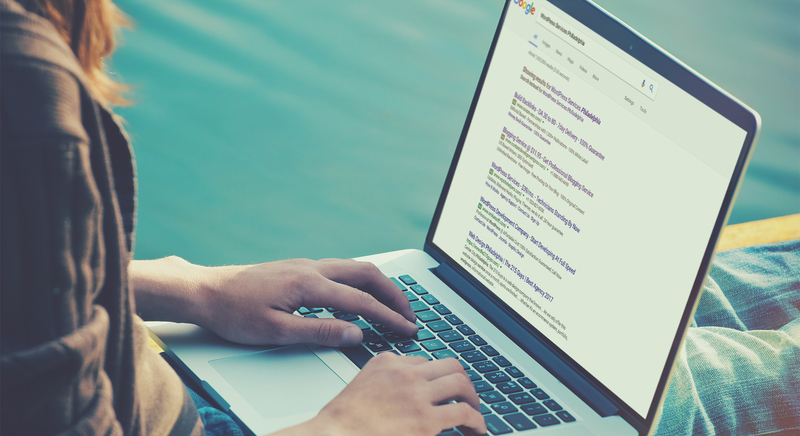 If we take into account that 89% of all consumers will do online research using a search engine before making a purchase, it becomes increasingly clear why our visibility on search engines is important. From these results we can see that the position in Google search results directly impacts website visibility and the amount of traffic. Top positions on the search engine result pages receive a large majority of the impressions and clicks, so ranking in these top positions can result in significant traffic increase for your website. SEO also focuses on creating informative and keyword relevant title tags and meta descriptions, which show up in the result pages. Having optimized tags and descriptions helps to increase relevant click through rate, which in return leads to customers more likely to be interested in your offering. Here is how I think of it in one sentence. SEO is one of the most cost-effective marketing strategies, because it targets users who are actively looking for your products and services online. At the same time, organic listings are essentially free. When you are listed at the top, you don’t need to pay per click or allocate a budget for advertising, one of the main benefits of SEO is that once it is set up properly, it keeps on attracting new prospects without any additional cost. With the increase in mobile and computer use, people are relying more and more on search engines. People trust that the first results in Google are from reputable companies. So, by doing SEO your website can become a more trusted brand name. In an effort to make your website easier to navigate (for search engines), you simultaneously create a website that’s easier to navigate by users as well. Rearranging website architecture and creating more structured Sitemaps and URL friendly addresses, you also make the information more accessible for website users. There are a lot of online articles and guides covering in detail all you need to know about search engine optimization. Whether you decide to hire a professional, use a plugin (such as Yoast, All-in-One SEO Pack or Ultimate SEO) or rely on your own SEO expertise, it’s important to consider on-page optimization. This means you will be focused on improving all of the technical factors (URLs, title tags and meta data, keyword density, site structure, internal links, site speed, content optimization, mobile readability…) directly on the target website. It is no secret that Google and other search engines are slowly moving focus from on-page optimization to quality and trustworthy content. While it is still important to optimize your meta data and site structure, it can no longer be denied that when it comes to generating organic search results, quality content with a strong focus on user experience is slowly leading the race. Search engines are finally catching up to this legendary quote. By changing the old SEO habits of link exchange and focusing on high authoritative backlinks that come from trusted websites we can ensure that our website ranks higher. Why would we care about any of that, and why should you care about traffic to your website? Well, your website should be delivering new potential clients or customers to you. Monitoring and evaluating the data your visitors produce helps you to know whether your website is doing its job. By monitoring the results, we will know if our efforts are working or not, and if there are any problems that require us to step in and make some changes. SEO rank is the bread and butter of many businesses. However, to stay on top of things you need to keep track of your (keyword) rankings and how you stack up against your competitors. ManageWP SEO add-on provides easy, extra value by delivering professional keyword and competitor reporting to its users. At the same time this also gives us quality data that we may use to spark discussions on further website improvements and expanded maintenance packages for our clients. 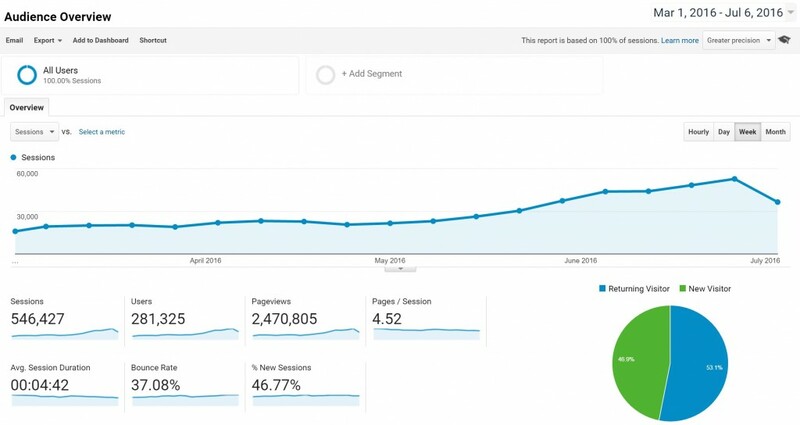 Keeping track of how many people are visiting your website every month will give you an overall idea of whether your SEO and marketing efforts are working or not. If you have the same web traffic every month, then it means that your marketing efforts are having no impact whatsoever. By using analytics tools, such as Google Analytics, you will also be able to see where your website traffic is coming from. With this, you will have sufficient insight and to tell which marketing strategies/channels are most effective. Simplest way to do this is to connect your Google Analytics account with your website management dashboard, and track website visits through Google Analytics on ManageWP. It’s also convenient for gathering all of the different Google analytics accounts in a single dashboard, making reviewing your stats for each website a breeze. SEO is essential for your business because most people use search engines to do research or buy products online. As the online community is getting bigger day by day, you shouldn’t be neglecting the importance of SEO to increase your customers/visitor base. I want to leave you with a final thought. 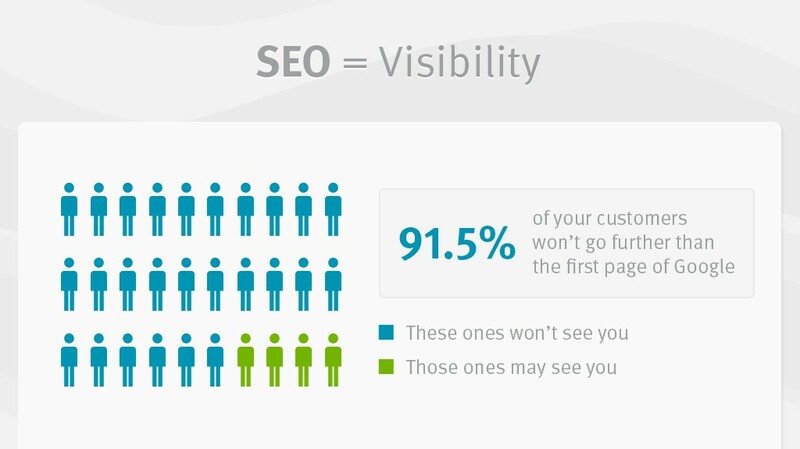 Today SEO is the synonym for visibility. Without proper optimization and good content your business will be invisible in today’s digital marketplace. Absolutely agree with your opinion. SEO is a must for every website as it is directly linked to the ranking of the website. And as you stated above, Ranking is vital for getting traffic. So, we can say that SEO=Traffic. “Content is King!” I definitely agree on this because I witnessed the aftermath of “Fred” Update from google. Cool, thanks for writing this article. 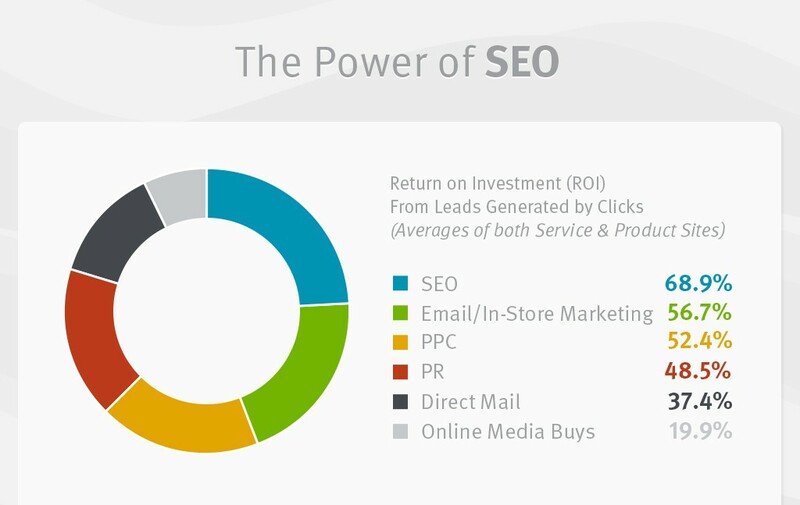 It provides some really good points as to why SEO is useful for small businesses. So basically, the more people who visits your website the the greater the chance it moves up the rankings? Basically yes, the more visited the site is – the better it should be ranked. Just a tad more complicated. Google’s focus is at user experience that also measure how much time was spent on the site, was there any interaction, how many pages were viewed, etc. So the algorithm does not look at the number of visits as a standalone stat, but instead looks at the whole picture and assigns website rank according to that. There are still scripts out there that imitate website clicks and visits, and Google is working hard at ignoring (or even sanctioning) such traffic. SEO is very important for every website is use for increase the visibility of website. This post is very useful for every E-commerce website. Can You also suggest me which SEO is more powerful On-page Or Off-Page SEO. Consider On-page SEO as a foundation for your SEO building efforts. No amount of Off-page SEO will help if this foundation is not solid. If On-page SEO is done poorly or using obvious Black-Hat techniques, Google will block the website from its search results making any Off-page SEO efforts a moot question. I was curious, in the above statement “Top 3 positions make up 61.5% of all traffic” do the top 3 positions you’re referring to include the top 3 PPC ad positions? Or, do the top 3 positions refer to the top 3 positions “after” the paid ads? I couldn’t find any clarification of this. Can you help? Search results and their positions include both organic and paid results, as they are generated differently for each search term and user. Sometimes there will be no ads on top of the page and sometimes there will be one or more. In essence, this study shows that the users are mostly clicking on the top results of the page while not getting into if those results are organic or paid advertising. Content is definitely king. Others may have a different opinion, but in 95% of the clients I do SEO for, creating content for their website(s) is by far the easiest way to increase rankings. A lot of creating content is a bit gray and involves spinning, but done right you can provide a better experience for visitors whilst also obtaining rankings – it’s not particularly tricky and involves a little thought and work. I use Advanced Web Ranking to measure the results of my work. Who is creating the content for those clients?